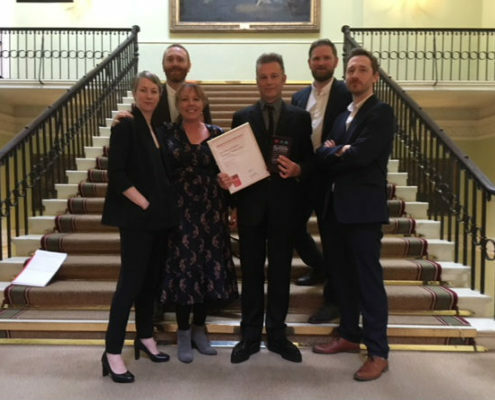 We are delighted to announce that Chris Packham has won the Broadcasting Press Guild Award 2018 for Best Single Documentary. The Broadcasting Press Guild Awards 2018 are for work commissioned in the UK and screened in 2017. They are highly prized by programme-makers as the nominees are independently selected by TV and radio correspondents, critics and previewers. 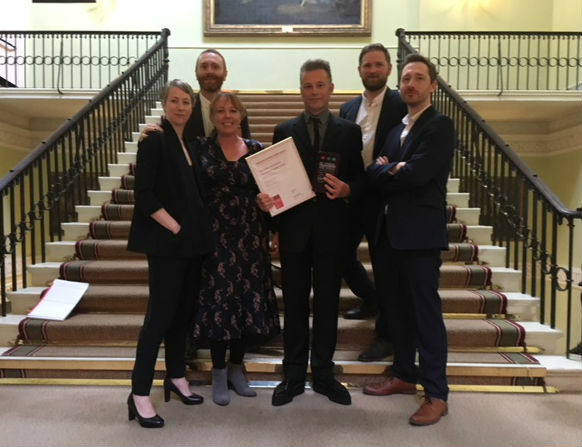 The 44th annual BPG awards, sponsored by Virgin TV, was held at the Theatre Royal Drury Lane on Friday, 16th March 2018 where it was announced that Chris Packham had won the award for Best Single Documentary for Chris Packham: Aspergers and Me, produced by RAW TV for BBC Two. Photo: Chris Packham with RAW TV production team.